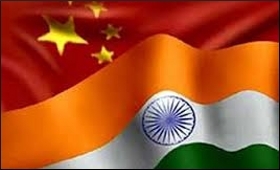 India's trade deficit with China stood at $36.73 billion for the period of April-October period, parliament was informed on Monday. Imports from China stood at $43.46 billion, while exports stood at $6.73 billion during the period under review, Minister of State for Commerce & Industry C.R. Choudhary told the Lok Sabha in a written reply. In 2016-17, the country's trade deficit with China had dropped by 3 per cent (approximately) from $52.69 billion to $51.11 billion. "Increasing trade deficit with China can be attributed primarily to the fact that Chinese exports to India rely strongly on manufactured items to meet the demand of fast expanding sectors like telecom and power," he said, adding: "While India's exports to China are characterised by primary and intermediate products."